The exhibition reexamines the unique meeting of a group of young painters and poets brought together by an optimistic determination to start over after the war and a shared interest in spontaneity and myth, as well as folk art and children’s art. Rejecting both naturalism and pure abstraction at the end of the Second World War, Cobra valued unbridled experimentation and creative freedom, manifested in brilliant, colorful paintings of distorted figures that provided a more symbolic and political European counterpoint to the roughly contemporary “action painting” of the Abstract Expressionists in the U.S. In 1966, Stéphane Janssen opens his first gallery in Brussels and organized numerous exhibitions amongst others, to the CoBrA artists Pierre Alechinsky, Asger Jorn and Karel Appel. 10 years later he moved to the United States and closes his gallery. 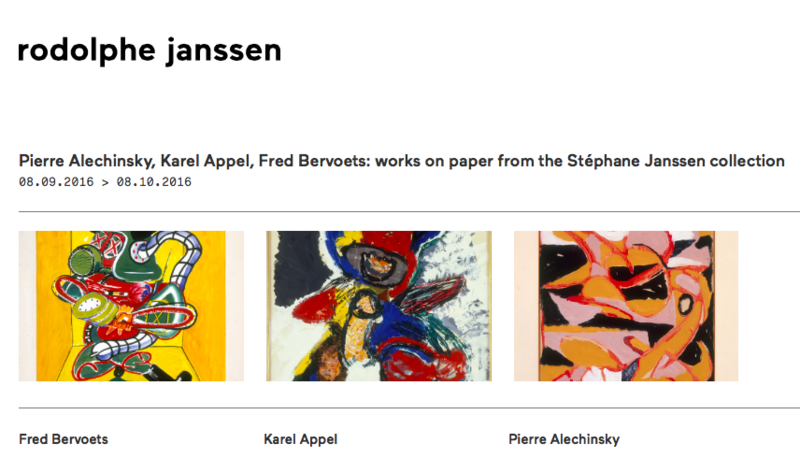 In 1991 his son Rodolphe Janssen opens his own gallery which now will present a selection of works on paper from the 50’s to 70’s, of the artists Pierre Alechinsky, Karel Appel and Fred Bervoets from Stéphane’s former gallery. 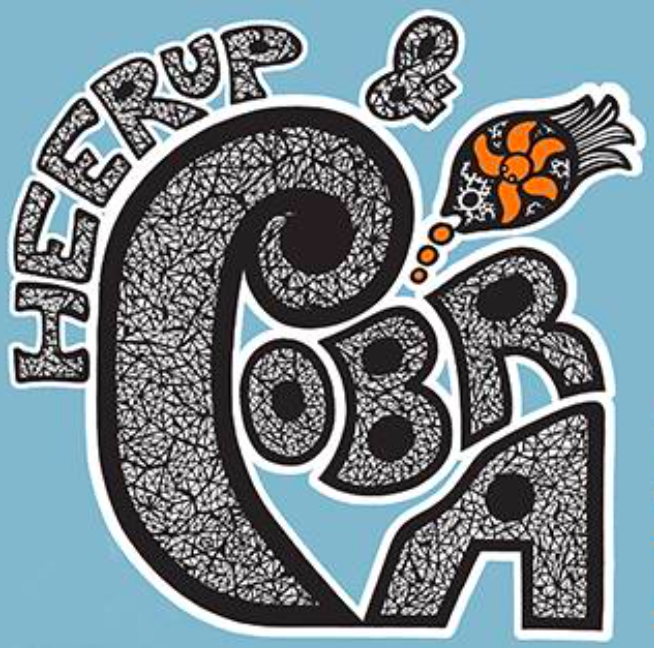 We are pleased to announce, that our full CoBrA collection is now for sale at HundertmarkArtFair. Visit our website at hundertmarkartfair.com to see the full collection. 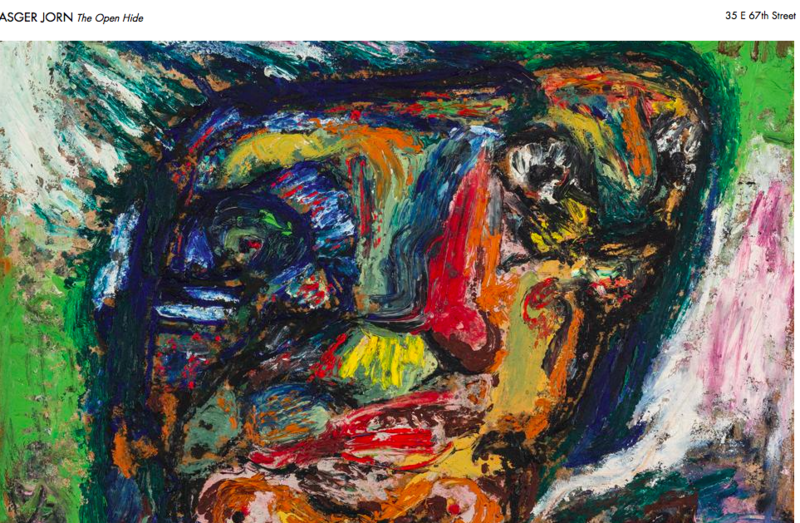 Until July 29, 2016, the Petzel Gallery at 35 E 67th Street, New York presents the first Asger Jorn US-based solo show since the exhibition at New York’s André Emmerich Gallery in 1993. The exhibition encompasses approximately twenty works (oil on canvas, gouache on paper and lithographs) made between 1943 and 1971. 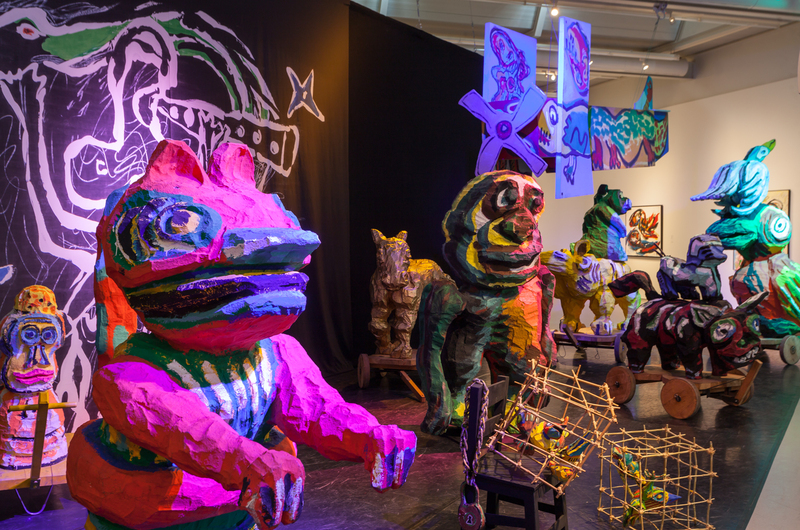 The Cobra museum shows till 16.05.16 a very special and unique exhibition of Karel Appel, which shows Appels set and costume design for the two operas ‘Noah’ and ‘The Magic Flute‘ in 1994 and 1995 and the visitors of this exhibition will move like an actor on Appels stage. A few works of art from the permanent collection in the exhibition shows the kinship with the Opera-style. 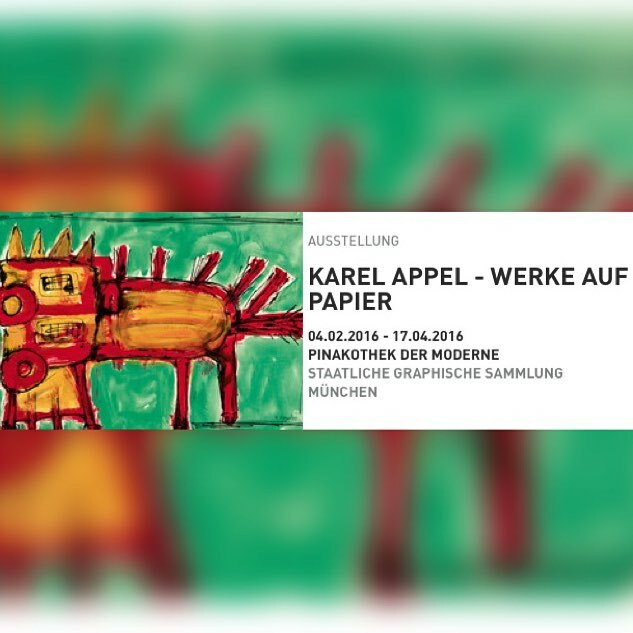 The Pinakothek in Munich shows from 02.04.2016 – 04.17.2016 a retrospective from the estate of the artist Karel Appel (Paris, Centre Pompidou, 10/21/2015 – 01/11/2016). This is for decades the first comprehensive overview of Appels work on paper. 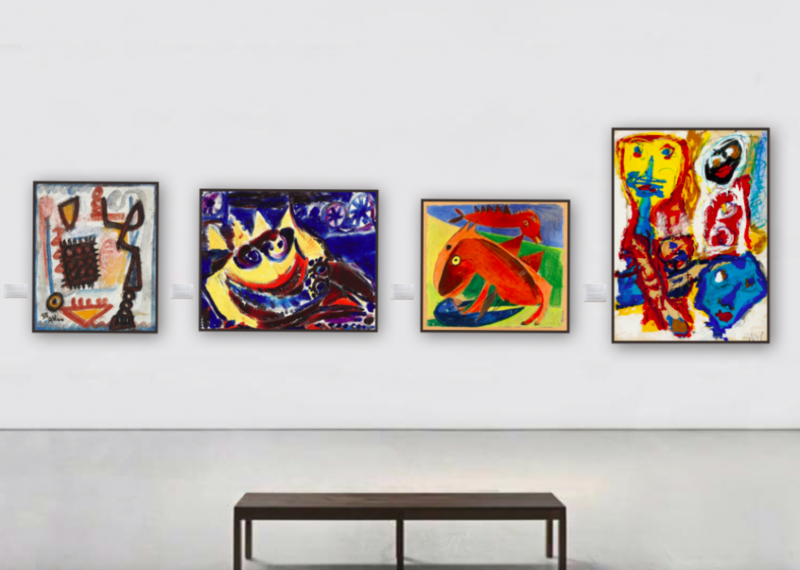 Until 16 Mai 2016 the Gemeentemuseum Den Haag presents 67 paintings, 12 sculptures and more than 60 drawings in the „Karel Appel“ exhibition. 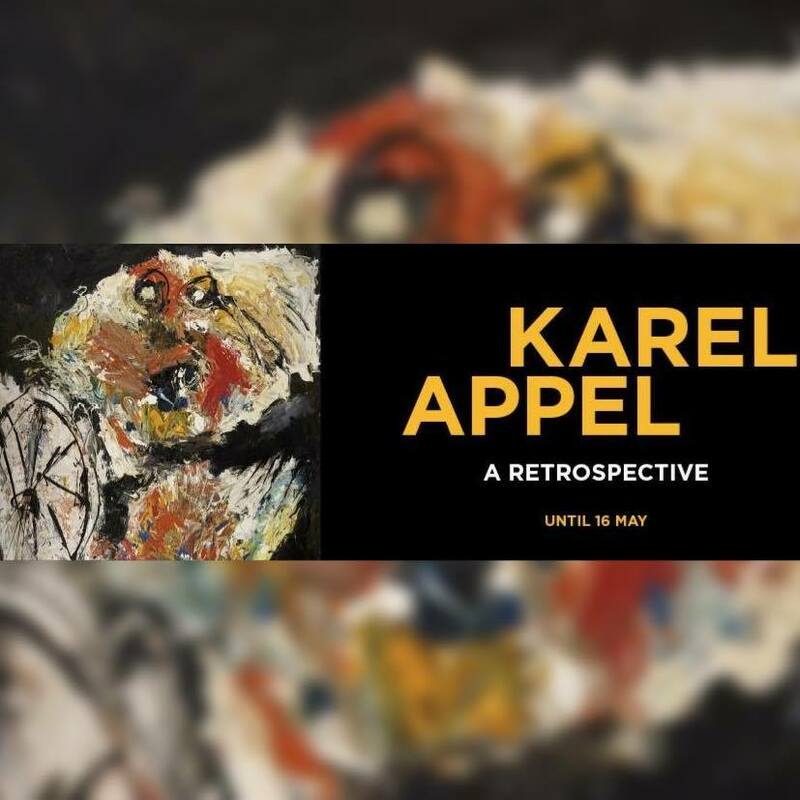 The exhibition at the Gemeentemuseum will be a pivotal part of a wider international reappraisal of Karel Appel’s work, which is also to include exhibitions in Paris, London and Washington. 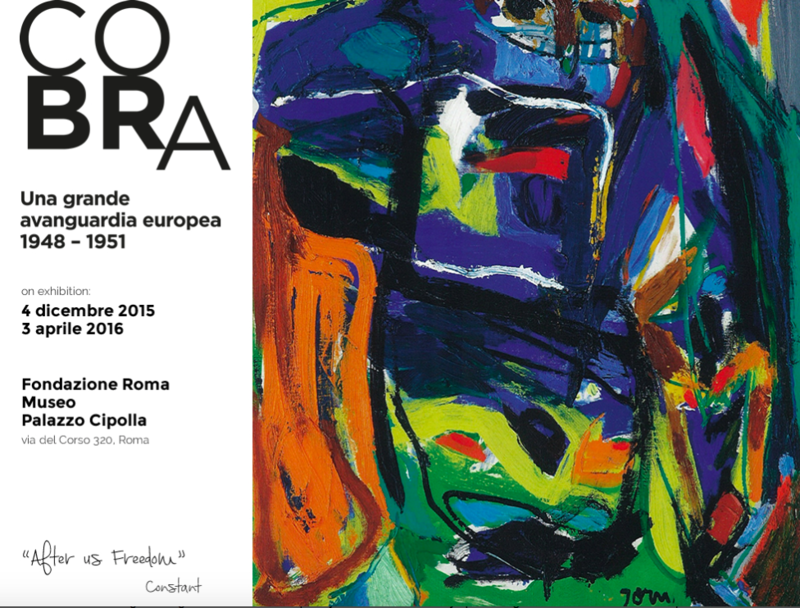 The Centre Pompidou shows till 11 Jan 2016 a retrospective exhibition of a selection of eighty-five works on paper by artist Karel Appel. Many of the works are never shown to the public until now. The exhibition was curated by Damiano Femfert and Francesco Pol with 150 works loaned from 35 of the major European museums. Among others the Stedelijk Museum in Amsterdam, the CoBra Museum in Amstelveen, the Centre Pompidou in Paris and the Peggy Guggenheim Collection in Venice. 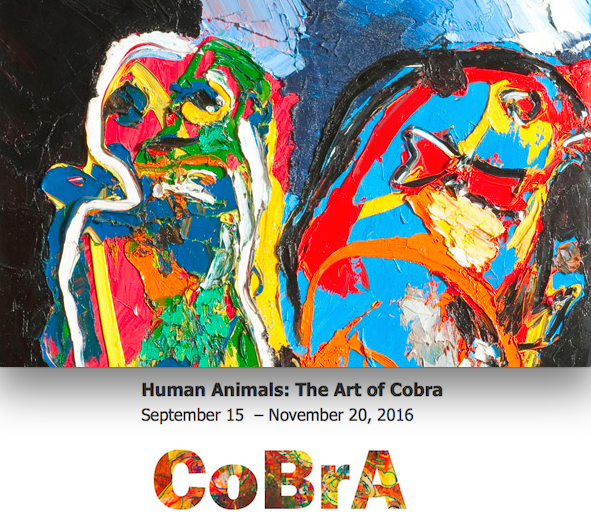 Therefore you can expect an absolutely amazing exhibition with many masterpieces of the CoBrA artists. The danish Artist Henry Heerup joined the COBRA group in 1949 and took part in some of their exhibitions.